Welcome! This event was started in 1998 by myself and my cousin Mary Bee in memory of Ronny Maher. As many of you know Ronny had a serious fall fox hunting on Thanksgiving Day 1996. He was flown to the R Adams Cowley Shock Trauma Center (Shock Trauma) where they did all that they could for him. He had severed his spinal chord and would be a vent-dependent quadriplegic. It was tragic for all. Everyone at “Trauma” rallied around him and our family and made the best of it. They became a part of our family. This event, now in its 22th year, is our family's way of thanking Shock Trauma for all they have done for us and every single patient. We are always looking for sponsors and donors. If you care to sponsor the event there is a sponsor sheet attached as well as ticket information. Donations, tickets, and merchandise can be purchased from this website using PayPal. 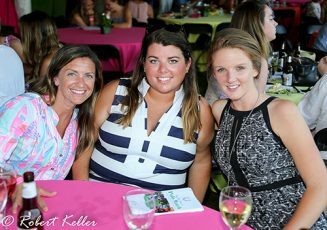 Polo, Dinner, Dancing and More! 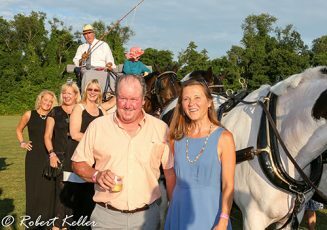 The gates open at 5:00 PM, and will offer hors d’oeuvres, beer, wine, and champagne; a polo match; and a buffet dinner, silent auction and live music after the polo game finishes. There will also be a limited cash bar. Buy your tickets and tables soon! 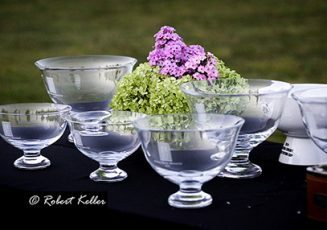 Prices increase on July 5th - and we sell out each year!